For those who appreciate the finer things in life, look no further than Premium Movers and Packers as your package of choice when deciding to move. Equipped with every necessary equipment and material and the only purposed is to ensure operation run smoothly. 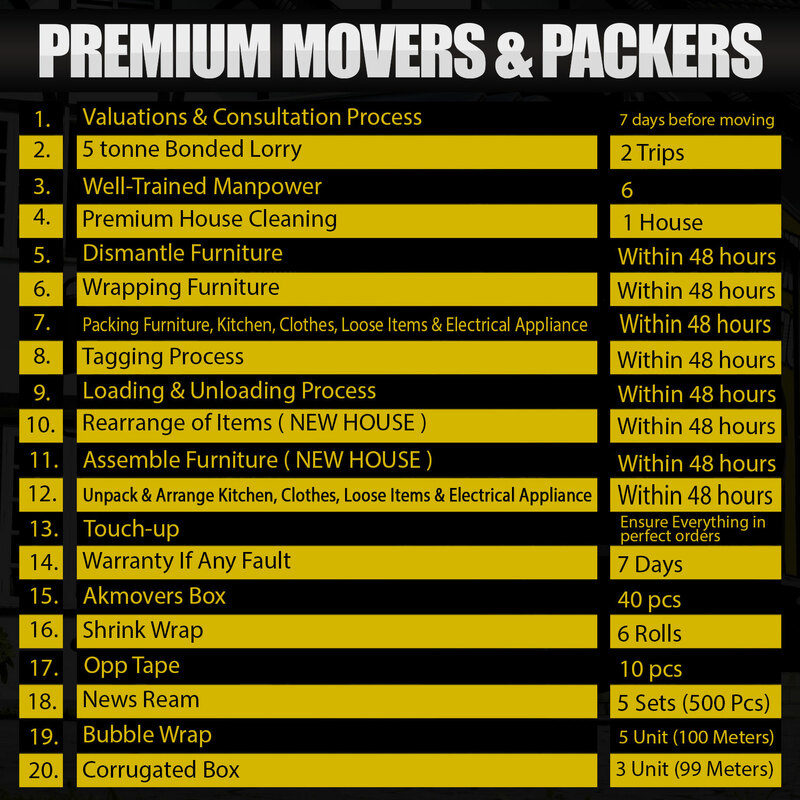 You can count on the Premium Movers and Packers for a complete mind free moving. Choice of 70% of our customer and they love it. Moving all your things from the old house to the new house is not an easy feat, but experienced and systematic of operation ensure everything run smoothly . Furniture and possessions arrived intact and were placed in the appropriate rooms and set up if needed. The only issue is whether you are going ecstatic or overjoy with service delivered. This Package fit for a small family with minimal items in the house. 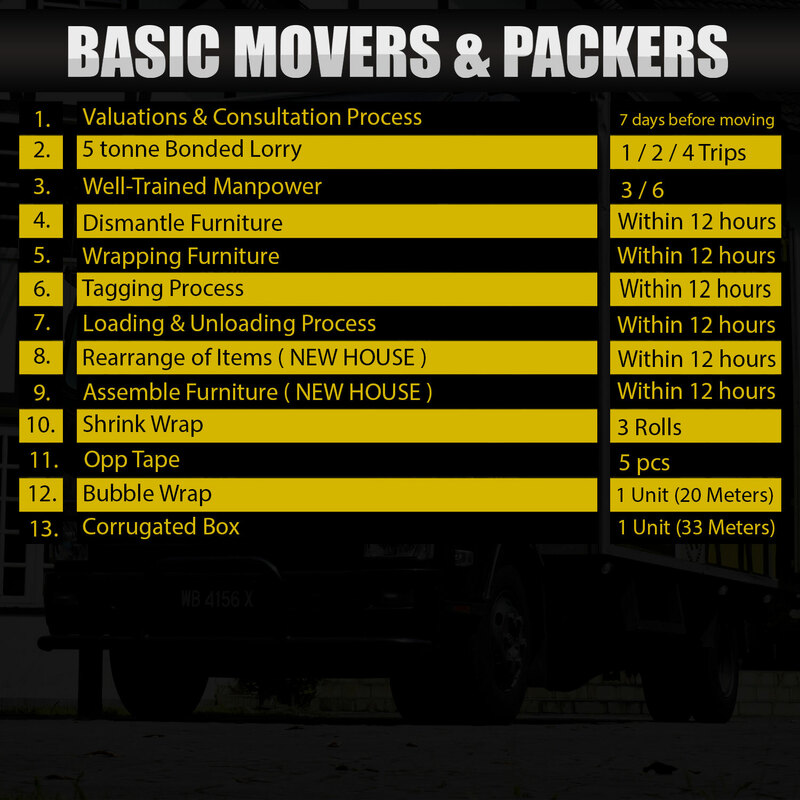 If you are someone who spends a majority of your time at home, Basic Movers and Packers may suits your need. You do not mind of packing everything by your own as long as within your budget however If you are someone with busy lifestyle, We strongly suggest Full Movers and Packers. 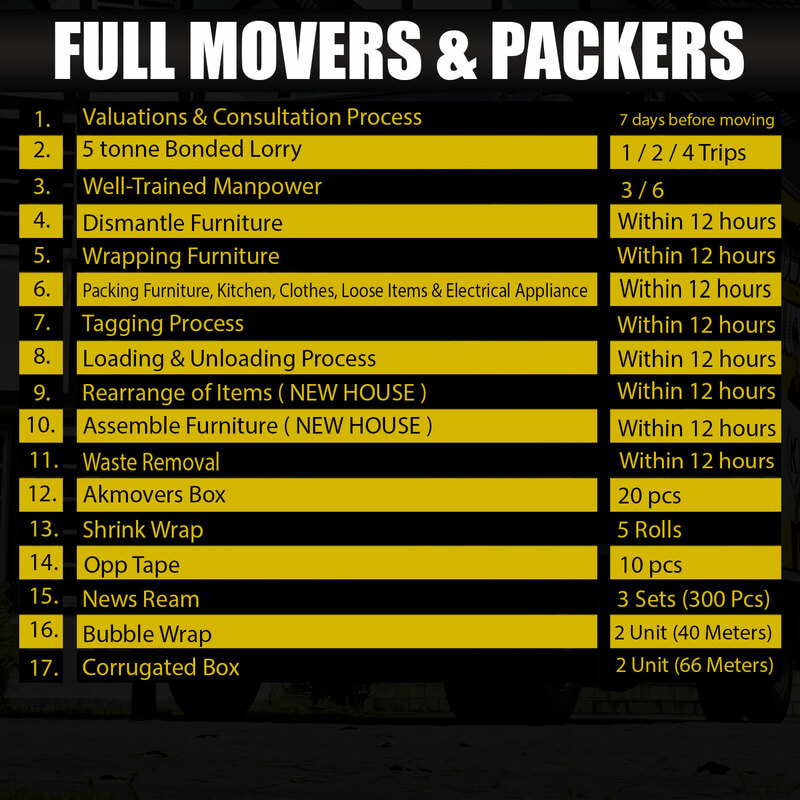 Planning for small moving? Consider AKMOVERS! We provide services to entire Malaysia. Moving a small amount of goods shouldn't cost you an arm and a leg. 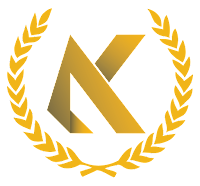 AKMOVERS offers affordable prices for small moving, Many of our customers already experience it and love our packages as we has many years of experience in the moving & packing industry. Moving small amounts of your possessions can be stressful and time consuming.AKMOVERS makes the process easy with end-to-end service to domestic locations. 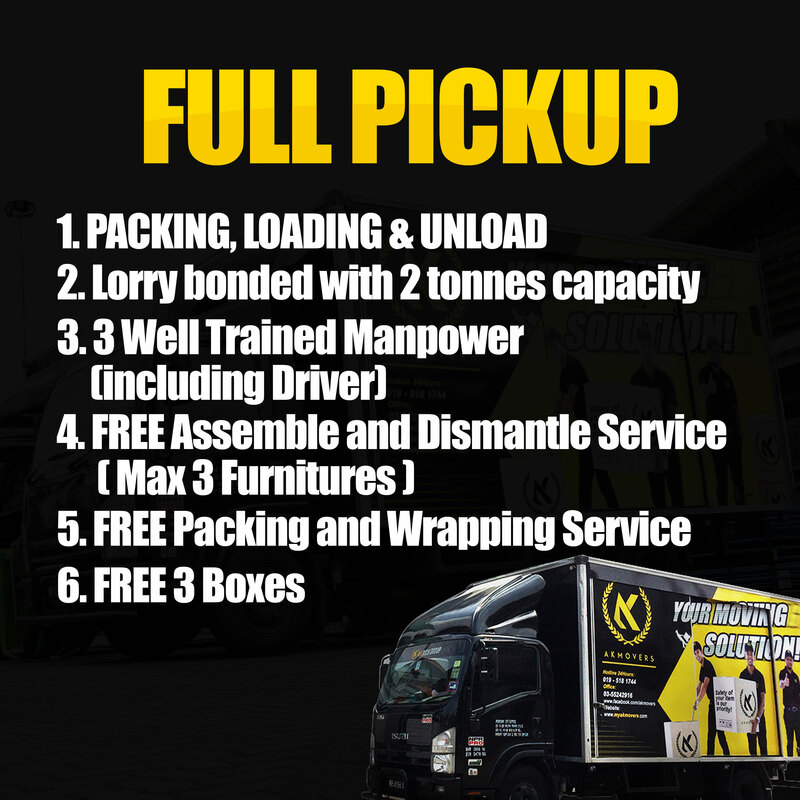 Rather than struggling to orchestrate a move by yourself, contact AKMOVERS and see how we not only simplify the moving process, but guarantee to save your significant ringgits over almost any self-move option. You don’t even have to lift a finger, we do all the work! A helpful customer services is always ready to schedule a pickup and our online quotation makes it simple to budget your move. Contact AKMOVERS to receive a quotation today and experience how the moving process going through. * The add-on services above are available for 1.0 Horsepower, 1.5 Horsepower & 2.0 Horsepower airconds. 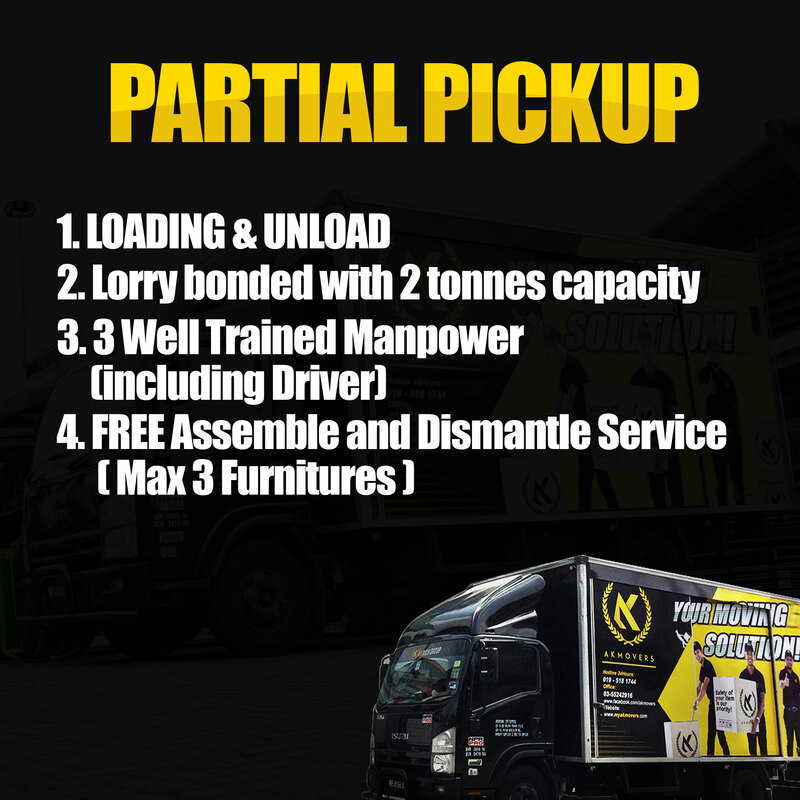 ** The add-on services above is ONLY available for 80KM radius from Shah Alam, Selangor.